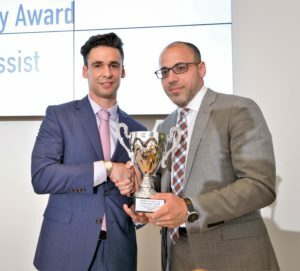 Cambridge, Mass., May 30, 2018 — At its annual awards dinner, held at the MIT Media Lab, the New England Motor Press Association honored four individuals for their outstanding contributions to the automotive industry and awarded trophies for the organization’s annual NEMPA Winter Vehicle, Ragtop and Automotive Excellence Awards. 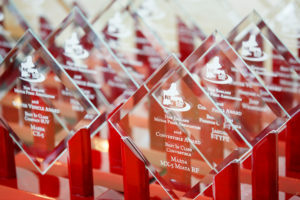 More than 100 journalists and industry professionals gathered for the award presentation. Wayne Carini, host of Chasing Classic Cars, was the master of ceremonies. 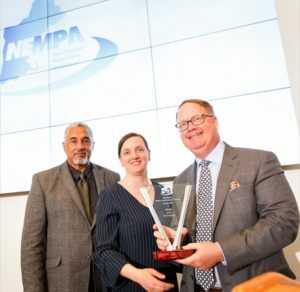 NEMPA is honoring Subaru for its standout performance in the industry. Subaru has been extremely consistent with its brand and even more consistent in growth. In fact, the company recently celebrated the sale of its 9-millionth vehicle. While there is an entire dedicated team that has been behind Subaru all these years, there is also one leader that needs to be recognized. Tom Doll has been with the company for 36 years and was recently promoted to CEO. This is the company’s first American CEO and it shows Mr. Doll’s level of dedication and quality of leadership, as well as the trust that he has earned from the parent company, Subaru Corporation. Here in the United States, Mr. Doll has been a leading force in Subaru’s rise from a small, somewhat cult-ish automobile company to the successful industry leader it is today. 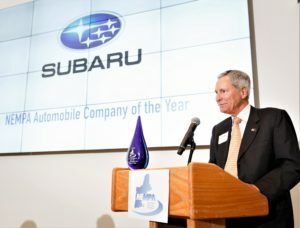 No one knows Subaru like New Englanders do, and we are glad to honor the company and Tom Doll for their outstanding achievements. Thomas J. Doll is President and Chief Executive Officer for Subaru of America, Inc. (SOA), headquartered in Camden, N.J. He is responsible for overseeing operations for the entire organization and serving as the company’s most senior executive. Mr. Doll joined SOA in 1982 and from 1985-1988, he was the Manager of Treasury Operations. In 1988 he was promoted to Director of Treasury Operations and then to Director of Accounting one year later. In 1991, Mr. Doll became Vice President of Business and Strategic Planning. From there, he was promoted to CFO, responsible for business and strategic planning, budgeting, controller functions, accounting and financial reporting. In April 2009, Mr. Doll was promoted to Chief Operating Officer. Prior to joining SOA, he spent five years at Arthur Young and Company. Mr. Doll received a Bachelor’s Degree in accounting from Villanova University in Villanova, PA and a Master’s Degree from Drexel University. Mr. Doll is active in several financial organizations including the American Institute of CPAs. To say Keith Crain has a vast sphere of influence would be an understatement. Throughout his career, Keith has embodied the true spirit of both the auto industry and journalism. This winning combination has created an empire of automotive media that has influenced and shaped the industry like no other. Mr. Crain is genuine. It is obvious to anyone that knows him that he truly cares about the industry, his employees, and the city of Detroit. In the current business and news climate we are in, integrity and quality news sources like Automotive News stand out. Keith stands out. His wisdom and vision continue to be a guiding force. Mr. Crain is chairman of Crain Communications, Inc, a privately held company that produces over 27 business, trade and consumer publications and news websites. It employs approximately 850 people in 11 offices internationally. 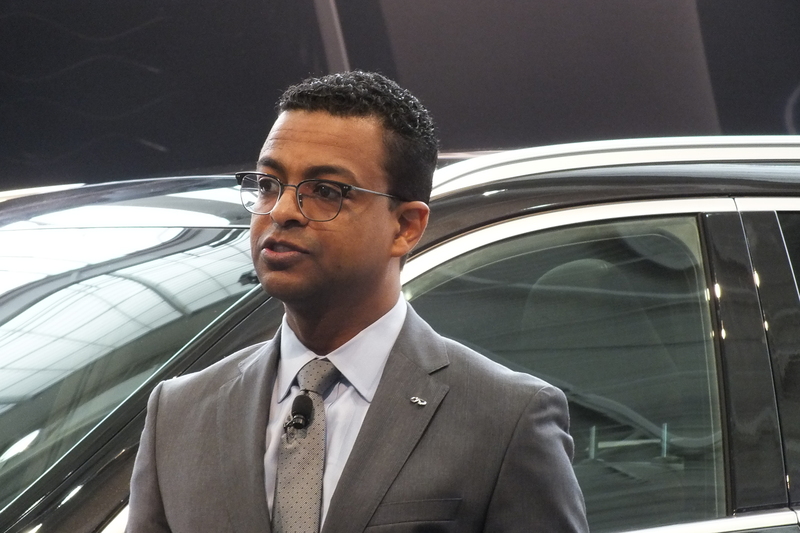 His responsibilities include overseeing several publications including Automotive News and Autoweek. In 2002, Mr. Crain launched Automobilwoche (meaning Automobile Week). Named “Business Publication of the Year” in 2005 by the German trade press association, this German-language newspaper covers the entire new vehicle industry, from suppliers to automakers to franchised dealers. Among Mr. Crain’s list of accomplishments is the development of the Automotive News World Congress as an international forum for industry leaders, and his assistance in the development of the annual North American International Auto Show in Detroit. In 1997, Automotive News Europe launched the European World Congress. Mr. Crain attended Northwestern University and holds honorary doctorate degrees from four universities. He was inducted into the Automotive Hall of Fame in July 2014. Mr. Crain is active in myriad civic and professional associations. His leadership positions include serving as chairman of the board of the College for Creative Studies, a college of fine arts and design. He serves on the boards of directors for the Detroit Metro Convention & Visitors Bureau, Gilmore Car Museum and the Automotive Hall of Fame. 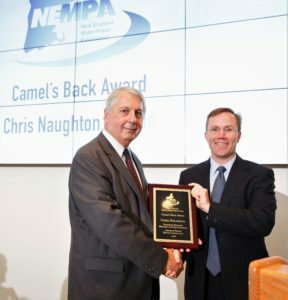 The NEMPA Camel’s Back Award is presented to a member of the automotive public relations corps who has consistently and with good humor and genuine helpfulness risen to NEMPA’s requests, rather than allowing them to be the proverbial “straw that broke the camel’s back.” This year, NEMPA has awarded this honor to Chris Naughton, Northeast Regional Manager Public Relations, American Honda Motor Co., Inc.
Pursuing a job at Honda the moment he finished college in 1994, Mr. Naughton’s first application went unanswered. In the meantime, he got a job at Pontiac Roadside Assistance, and continued visiting the library every week to scan the classifieds of Automotive News for another job posting at Honda. Six months later, he landed a position with Honda as a sales analyst in the Midwest Zone office. A year later he got his first posting as a District Sales Manager, calling on 18 Honda dealers in Western Michigan and Northern Indiana. Next up was a larger district with 18 Honda dealers in the metros of Cincinnati, Dayton and Indianapolis. 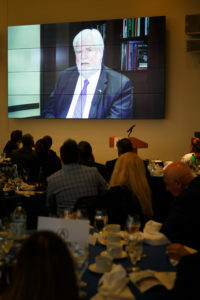 In 2001, he moved to Honda’s headquarters in Torrance, CA to manage the monthly allocation process of Honda production to its 1,000 Honda dealers. Mr. Naughton dedicates himself to promoting the strengths of Honda products – something he’s been doing since the late 1980’s. 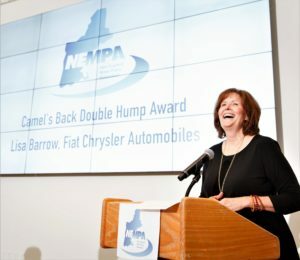 The NEMPA Camel’s Back Double Hump Award category is unprecedented in the 31-year history of the NEMPA organization. Lisa Barrow, is a past Camel’s Back Award Winner, so the organization decided to come up with something special to honor her again. She has an unwavering commitment to doing her job and doing it well. No detail is left undone and her extraordinary ability to create and nurture relationships is somewhat of a lost art these days. Lisa Barrow has spent most of her career in the automotive industry, first as a journalist and then as a public relations manager. She became FCA’s East Region Communications Manager in August of 2005 covering the Northeast and the Mid-Atlantic regions. She is the company’s main point of contact for automotive journalists from Maine to Virginia. Ms. Barrow regularly shares with the media all the latest product news from the FCA brands including Chrysler, Jeep, Dodge, RAM, FIAT and Mopar. Prior to her current position, Ms. Barrow worked for Kermish-Geylin Public Relations and was Chrysler’s West Region Communications Manager from 1998 to 2005. Ms. Barrow began her automotive career as a Reporter/Associate Producer for MotorWeek Television where one of her memorable highlights was climbing into the cockpit of a 70-ton Abrams M1A2 Main Battle Tank to put it through its paces. Ms. Barrow loves her job, and in the name of ‘doing her job’ she might find herself on a race track behind the wheel of a 707 horsepower Dodge Challenger Hellcat or crossing the Rubicon Trail in a Jeep Wrangler. First-hand knowledge of a new vehicle is a key part of Barrow’s job and relaying that knowledge to the media is one of her favorite assignments. Originally from Atlanta, GA, Ms. Barrow now resides in the Philadelphia area with her husband, Jack. She enjoys motorcycling throughout the world and counts Kyrgyzstan, India and the Isle of Man as some of her favorite riding destinations. Selected with input from the faculty at MIT, the Yankee Cup goes to a vehicle, automotive feature, or system that significantly enhances the motoring experience, whether by making driving safer, more cost-efficient or simply more enjoyable. Photos from the event are from David Tucker Photography.